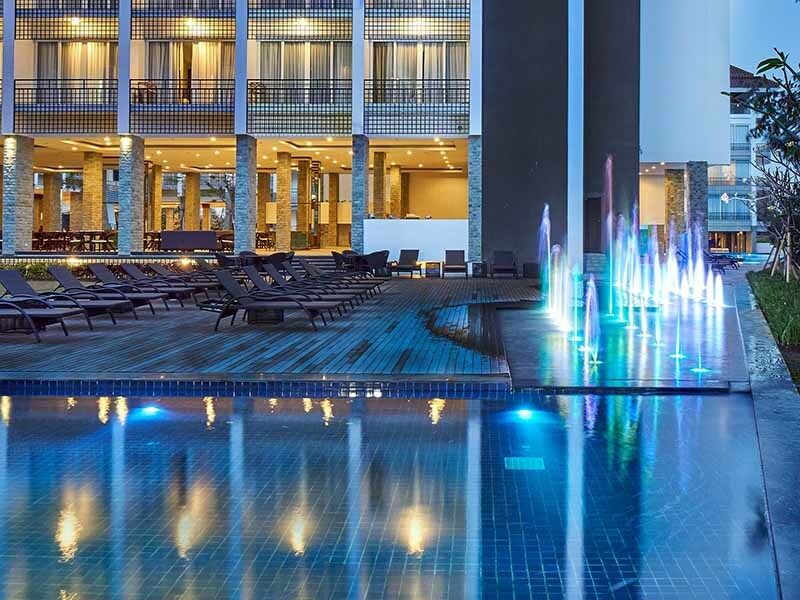 Sintesa Hotels Group proudly presents of ‘The Sintesa‘ Jimbaran - Bali, a concept of upscale hotel in Jimbaran and located on Bali’s southwestern coast is connecting between Jimbaran Bay and Clift (Bukit) of Jimbaran. The Sintesa Jimbaran Bali, designed for natural living with choices of the wellness and lifestyle activities and facilities to deliver ‘a best moment to stay‘. 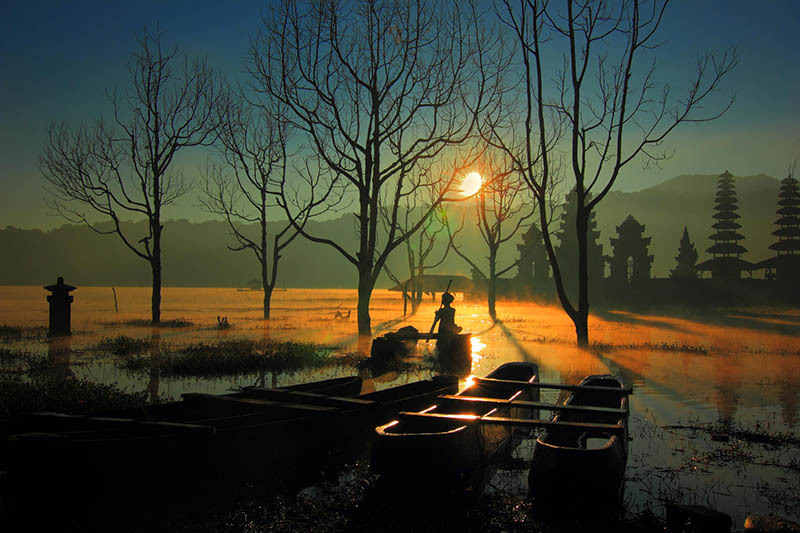 The smallest lake in Bali located just next to Tamblingan Lake hence this lake is also called by Bali Twin Lake. Since its located in the plateau area with cool weather, the fog is usually blanketing the area. The best spot to enjoy this lake is from the top of the hill. Located in the plateau area of Bedugul surrounded by green tropical rainforest, this beautiful lake best to enjoy from the top of Asah Gobleg hill with the fresh air cold mountain atmosphere to refresh yourself. 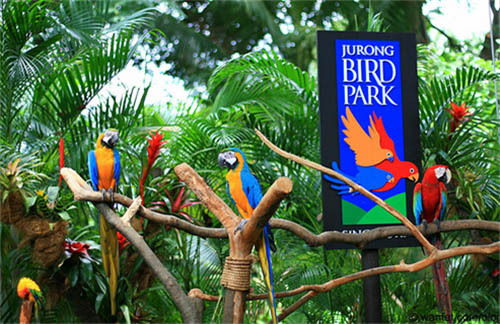 The innovative Bali Bird Park arrived offers as Bali’s eco-tourism for more than 20 years ago. As a recreation and educational park you see lots of Indonesia’s exotic bird species and other regions too, but also learn how to preserve them at the same time. 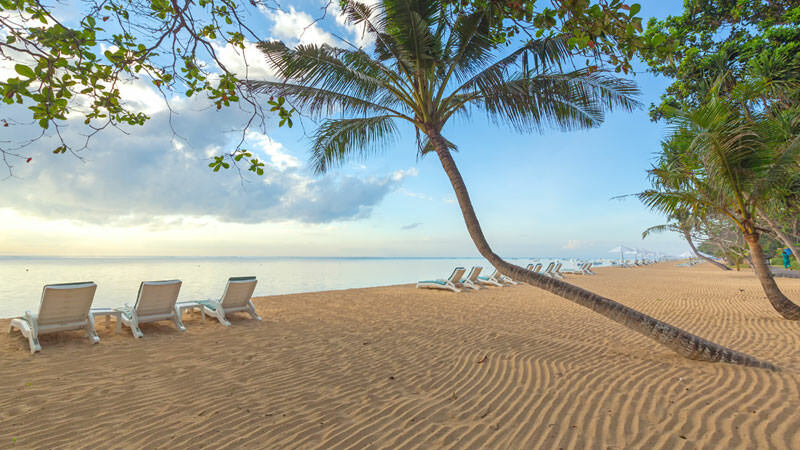 Mengiat beach is arguable one of the most laid-back atmosphere in the Nusa Dua area, is your preferred beach that offers relaxing ambience, peace, clean environment and numerous water sport activities. Museum Pasifika presents an Asia-Pacific melting pot of culture with works from more than 200 artists from 25 countries, 350 paintings, and 250 historical objects. Devdan – treasure of the archipelago is a "spectacular" stage performance in Bali; it is a high-energy visual tour of Indonesias culture and diversity. This 90-minute performance features a fusion of traditional Indonesian dance activities with modern contemporary dance, world-class aerial acrobatic attractions, dazzling costumes and hi-tech special effects. 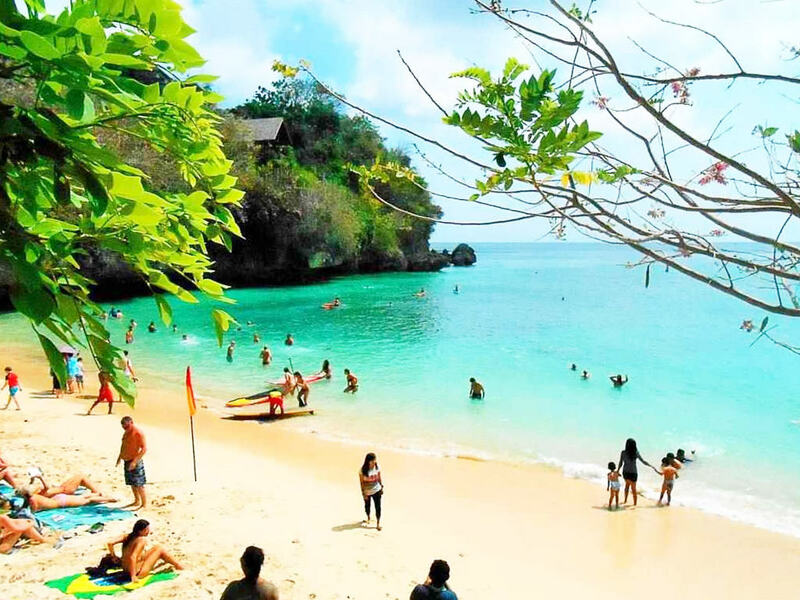 Locally referred to as Pantai Labuan Sait, is one of Bali’s most famous surf spots, located on the north-western coast of the island’s Bukit Peninsula. 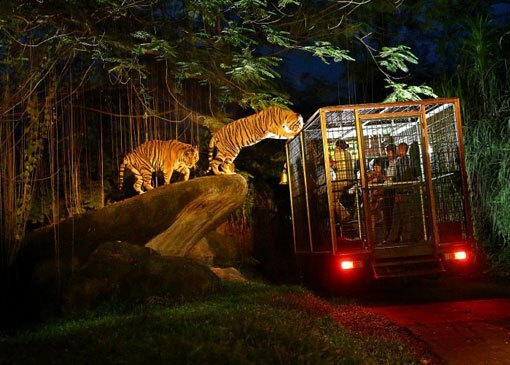 Encounter over 60 different species of animals at Bali Safari and Marine Park. 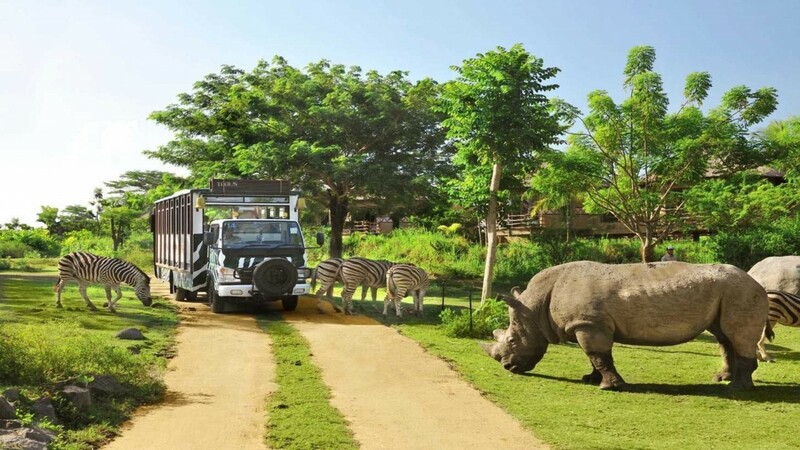 Join the Safari Journey tram and venture past unique habitats that mimic the jungles of Southeast Asia, the African Savanna, and the Indian subcontinent at this safari park. One of animal park attractions that Bali hast to offer located in Singapadu, Gianyar just right on the way to get to Ubud. Get up-close and personal with the animals and spot zebras, lions, Sumatran elephants or even breakfast with Orang Utan. 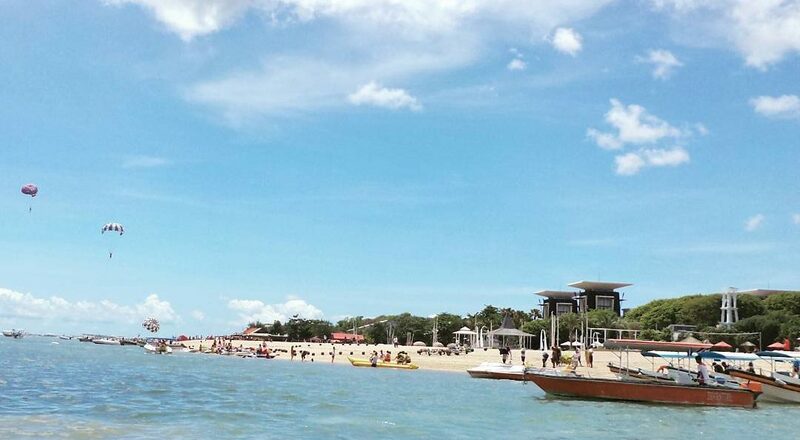 Sanur Beach is the sunrise beach of Bali and known for its relaxing ambience and local village atmosphere. Sanur tends to appeal most to middle-aged and older families traveler. Bali Botanical Garden is a large tropical botanic park in Bali located in Bedugul region in the central highland of Bali island. 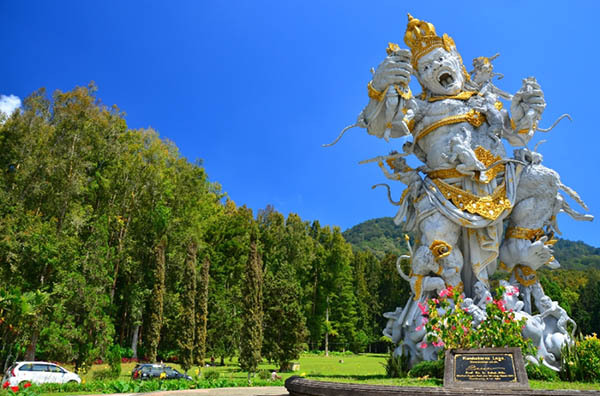 Bali Botanical Garden was formerly known as Eka Karya Botanical Garden, is located at an altitude of 1250-1450 above sea level, with an area of 157.5 hectares. 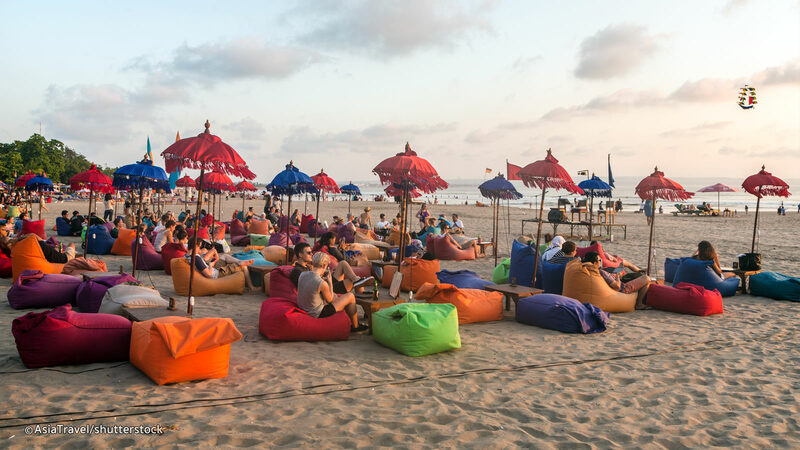 Seminyak is Bali’s most fashionable beach, home to among the islands luxurious resorts and host to a number of fine restaurants and boutiques. Fashion stores and top dining spots with international chefs cooking up world-class cuisine line the streets. Candidasa is located in eastern coast of Bali Island, 12 kilometres southwest of Amlapura, the main town and capital of the Karangasem regency. 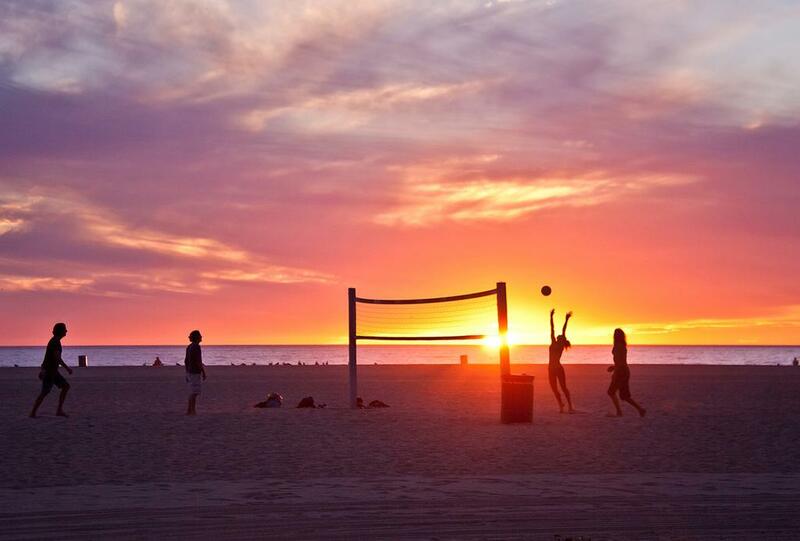 It ‘s famous for its laidback and relaxing beach atmosphere. 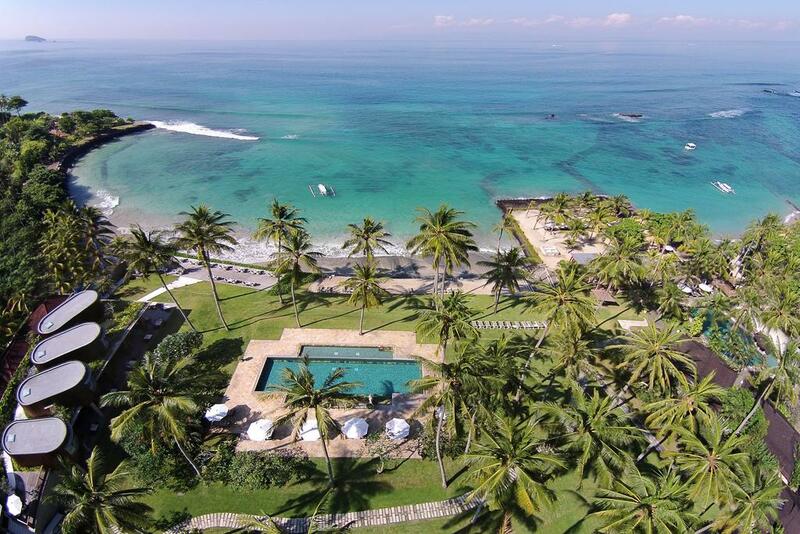 Canggu Beach is a coastal village and roughly situated between Seminyak and Tanah Lot. 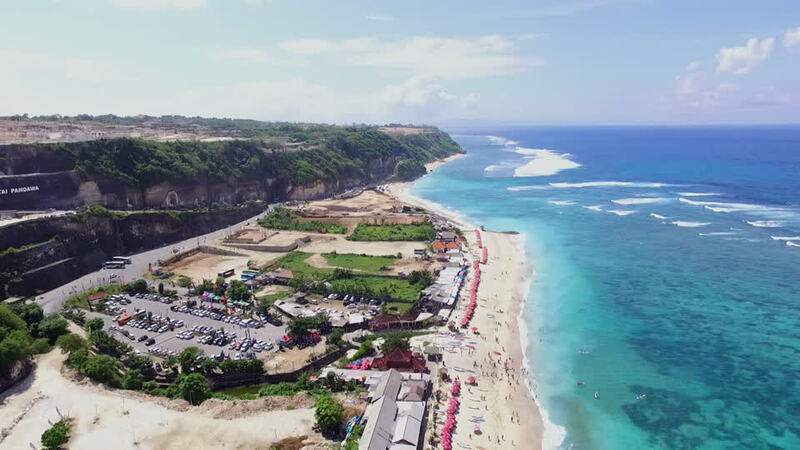 The coastline of Canggu comprises different black-sand beaches, almost all with surf breaks that are popular haunts of surfers from around the world. 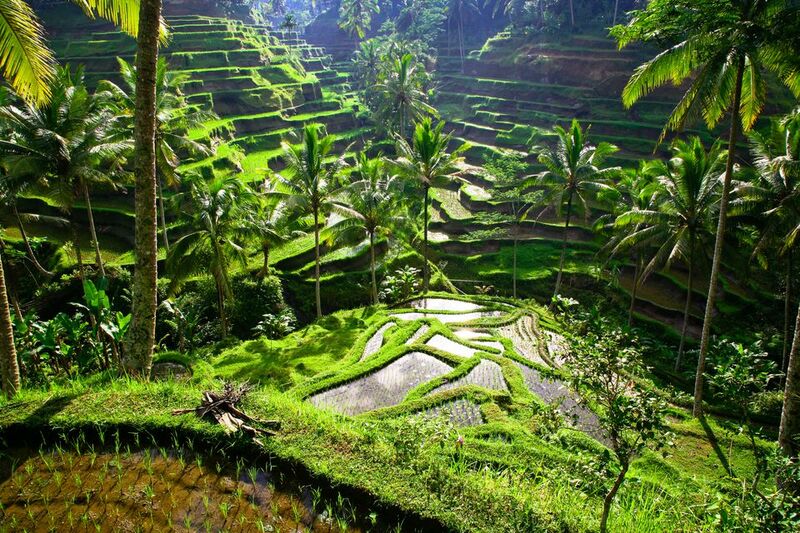 Ubud is a little town in central Bali, is far removed from the beach party scene of Kuta and is regarded as the cultural centre of Bali. It is famous as an arts and crafts hub, and much of the town and nearby villages seems to consist of artists workshops and galleries. 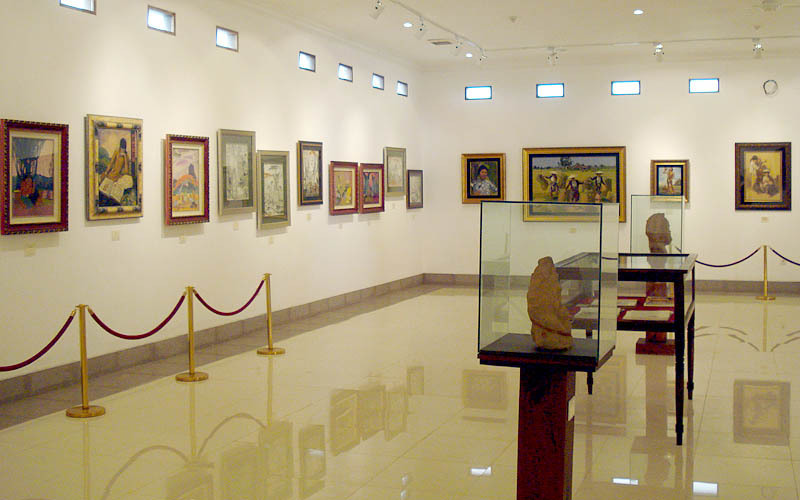 Known as GWK is a 60 Ha area of cultural park located in Ungasan, Badung Regency or about 10 - 15 minutes driving from The 'Sintesa' Jimbaran. It is devoted to Hindu God Vhisnu, and His mount; Garuda, mythical bird who become His companion. 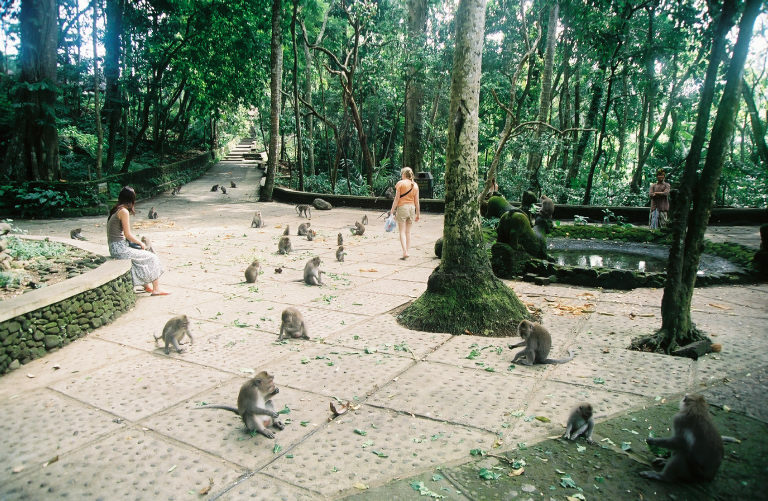 The Ubud Monkey Forest lies within the village of Padangtegal, which owns it. The villages residents view the Monkey Forest as an important spiritual, economic, educational, and conservation center for the village. Other than around 700 monkeys, you also can see 186 species of trees in 12.5 hectares of forest, where will allowing you to get an abundant of fresh air. 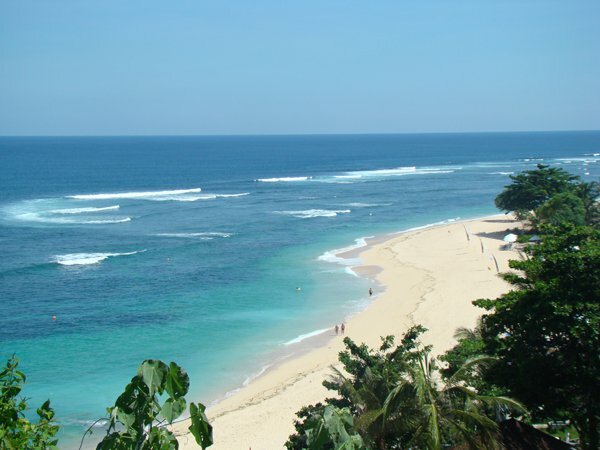 One of white sandy beaches in Bali shoutern peninsula and near to Nusa Dua area. The beach is famous amongst the local and home one of most picturesque temples on the island. Pura Luhur Uluwatu or Uluwatu Temple is a famous sea temple in Bali. It is one of the nine directional temples of Bali meant to protect it from evil spirits. 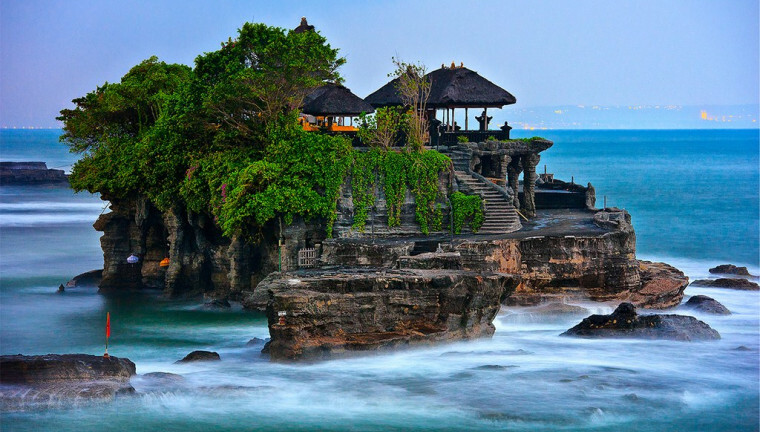 This spectacular temple is one to marvel with as it perched at the edge of the rock overlooking the sea as if on guard. Water Blow in Nusa Dua lets you witness the awesome power of nature as large waves from the Indian Ocean constantly crash against the jagged limestone edges on the peninsula’s south-eastern cliff. You can easily reach this purpose-built lookout along paved footpaths by walking 20 minutes to the east from the resort. #2 BEST WATERPARKS IN THE WORLD - Set your own pace for a day of fun in the sun or relaxation in the shade; perfect for the whole family or for that special getaway. 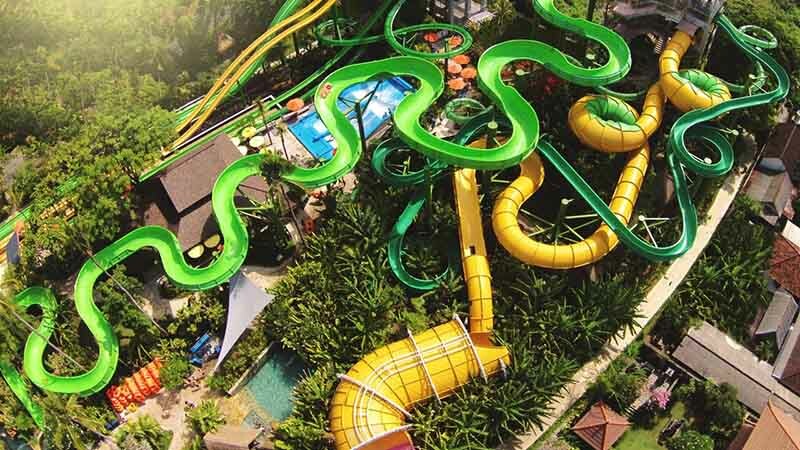 With a choice of dining outlets and a swim-up bar for tropical drinks, Waterbom Bali is the one-stop leisure capital of Bali. 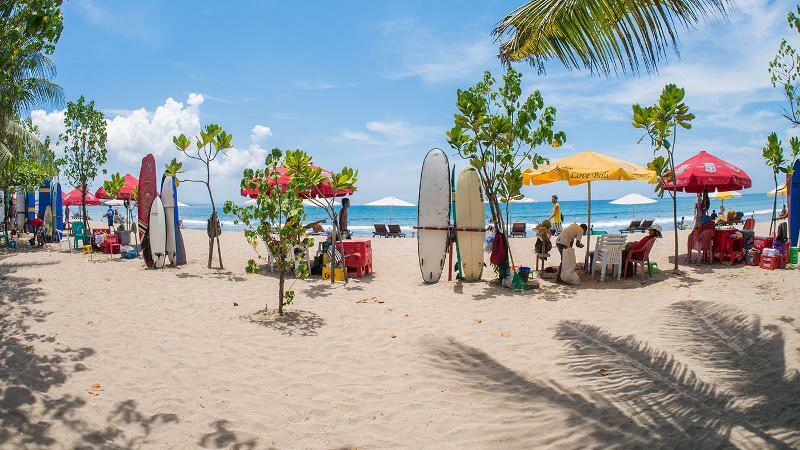 Kuta beach is the best known tourist resort area on the island of Bali in Indonesia and has a great surfing beach. It has long been a popular stop on the classic backpacking route in South East Asia. West Bali National Park is the only national park on the island of Bali. One hundred and sixty species of bird have been recorded in the park, including the near extinct Bali Starling, Balis only endemic vertebrate species. 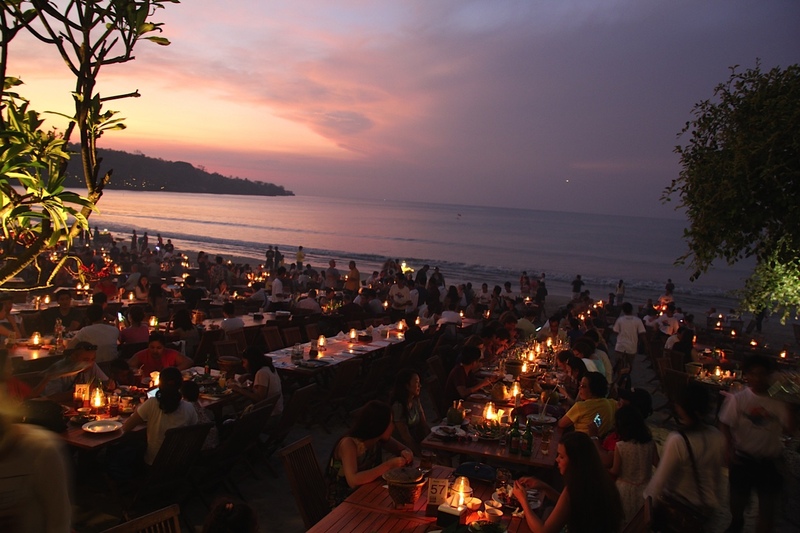 One of the finest places in Bali to watching a mesmerizing sunset tapestry unfold. 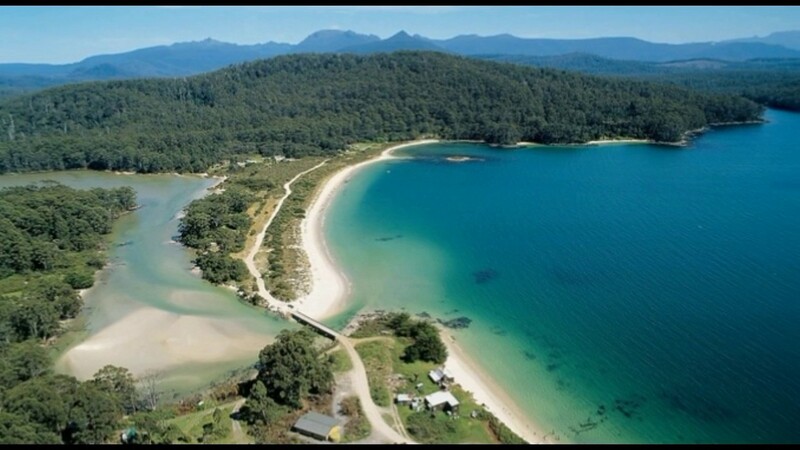 It’s positioned in peaceful area and suitable for relax, have a seafood dinner on the beach, visit the local markets and spend the day at the beach. Brightly painted traditional Jukung fishing boats dot the white sand in the early morning, the fishermen are coming into shore with last night’s catch. Hire a fishing boat to take you out into the bay to give you a glimpse of the village way of life. 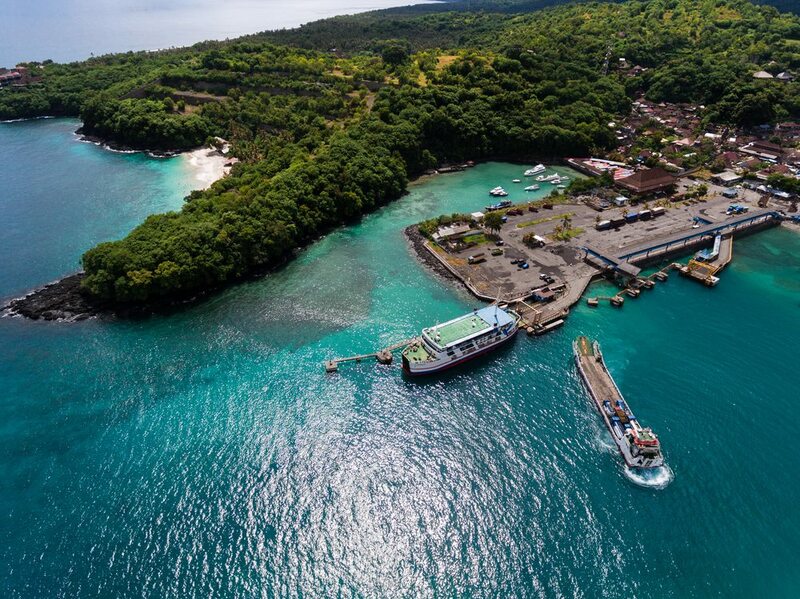 Visit Kedonganan Fish Market, this daily market sells fresh seafood straight off the boats. Taste the succulent catches of the day, freshly grilled over coconut husk barbecues when night falls and the beachside restaurants serve up. Dine under the starry skies to the sounds of the waves, the ultimate toes-in-the-sand dining experience. Taste the succulent catches of the day, freshly grilled coconut husk barbecues when night falls and the beachside restaurants served up. Dine under the starry skies to the sounds of the waves, the ultimate toes-in-the-sand dinning experience. Dreamland beach is located on the Bukit Peninsula, and is one of the most beautiful beaches on the island, renowned for its shore breaks. Dreamland is the expression of hope and dreams come true with its luxurious cliff top views and unique remote island. Often referred as the secret beach, Pandawa is concealed behind high cliffs and overgrown shruberry. As you near Pandawa, you will be greeted by five status carved into the cliffs beside you : Yudhistira, Bima, Arjuna, Nakula and Sadewa, the five brothers PANDAWA in the shadow puppet theater, from which the beach take its name. Lake Batur is the widest lake in this island. It lies down in the feet of Mount Batur and Mount Abang. The surrounding of the lake is a favorite place for picks you self up, all surrounded by the high walls of the crater rim. 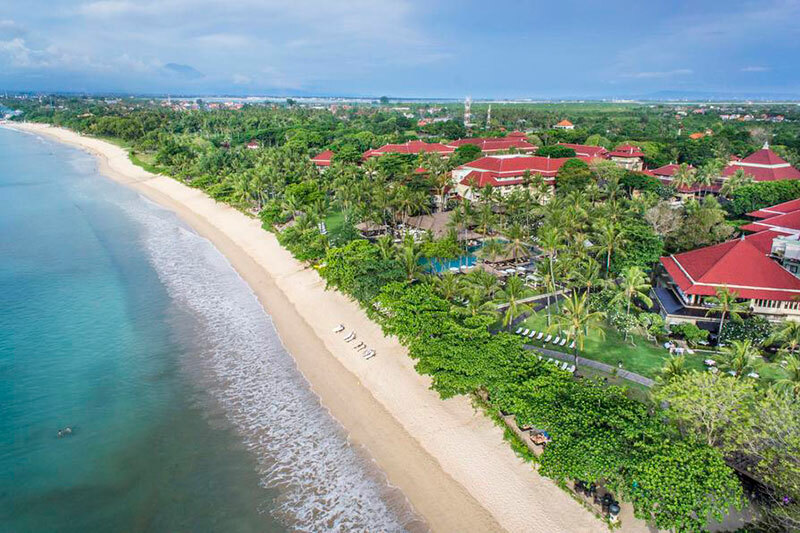 Sits north of the Nusa Dua enclave of resorts - sort of a more affordable neighborhood within tee-off range of the famous gated property that houses some of the most exclusive names in the resort business. Tanjung Benoa is nowhere near as antiseptic as Nusa Dua, but it's nowhere near as rowdy nor as downmarket as Kuta, either. The area vibe is more mature and family-friendly - surfers tend to steer clear of Tanjung Benoa's sedate waves, leaving the waters clear for kayaks, jetskis, parasailers, and banana boats. Located just 10 km south of the Bali Airport (Denpasar). Hotel's location is conveniently positioned, just 15 minutes drive from Ngurah Rai International Airport and 20 minutes away from vibrant area of Kuta and Nusa Dua. Bali Collection is a contemporary international shopping center in Bali, complete with exciting dining and entertainment outlets set within the Indonesia Tourism Development Cooperation, an exclusive tourism area that is surrounded by 5-star hotels and resorts.